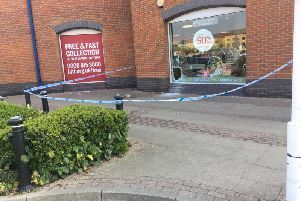 A man will appear in court today charged with burglary after quick thinking members of the public called the police, leading to his arrest at the scene. Shane Elliott, 31, of no fixed abode, has been charged with burglary and will appear at Cambridge Magistrate's Court today, Thursday November 9. Police received a call from a member of the public in the early hours of yesterday morning, Wednesday, advising them that they had seen an individual attempting to break into One Stop in Bucken. Officers were immediately dispatched and the suspect was arrested at the scene. The suspect was charged with the offence the same day and has been remanded in custody to await court.